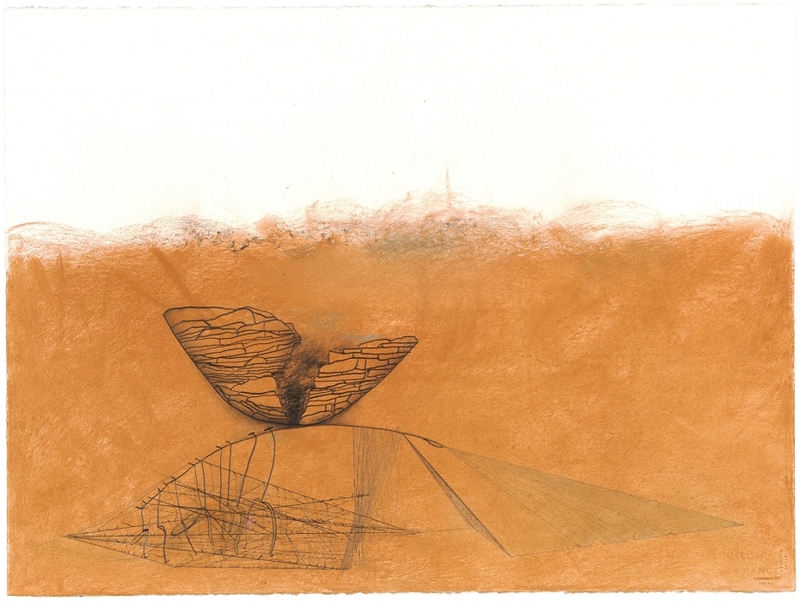 Locks Gallery is pleased to present an exhibition of drawings by Southern California artist Joan Tanner (b. 1935), organized by independent curator Julien Robson. There will be a reception for the artist on Friday, January 22, from 5:30-7:30pm. Throughout her career, the act of drawing has remained a consistent thread, grounding Joan Tanner’s practice to her origins as a painter. 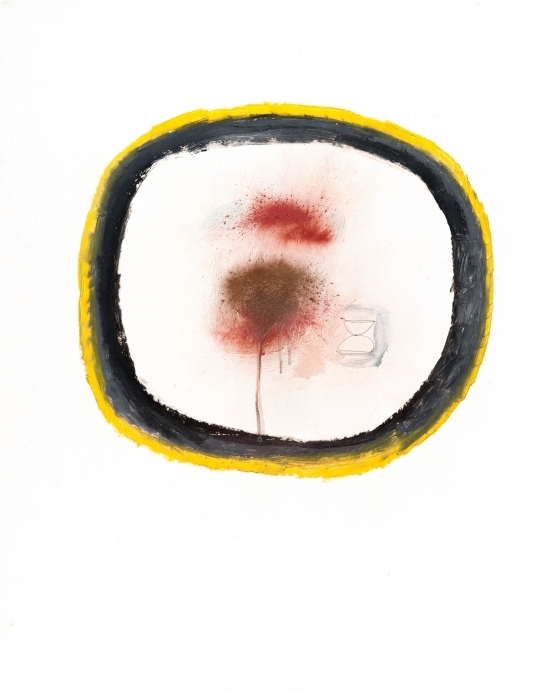 At times she uses drawing as a testing ground for ideas that will be realized elsewhere in her work, while in her early paintings it was often an integral element of their composition. Mostly, though, drawing has remained an autonomous practice for the artist to freely explore the potential of space and form on a two dimensional surface and through a variety of materials, such as charcoal, latex paint, oil stick, metallic powder, graphite, and ink. Over many decades Tanner’s work has developed across disciplines to encompass photography, video, sculpture, and assemblage. Her art touches on ideas of history, impermanence, and inconsistency, manifested in both the materials she uses and the way she manipulates them. By her own admission, Tanner’s ideas evolve through chance as she becomes absorbed in their invention. 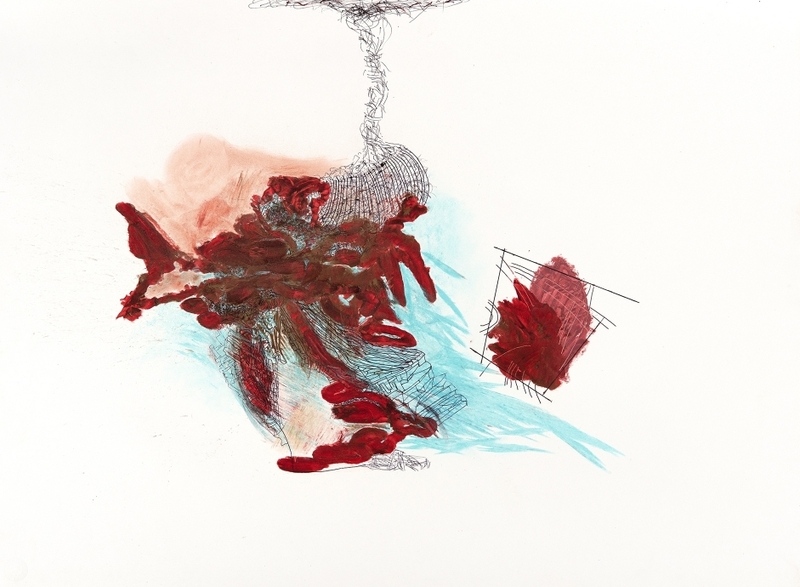 Hers is not a vague or unintentional activity, but one that shifts restlessly between seemingly contradictory forms and methods to bring about both visual connectivities and their disjunctions. 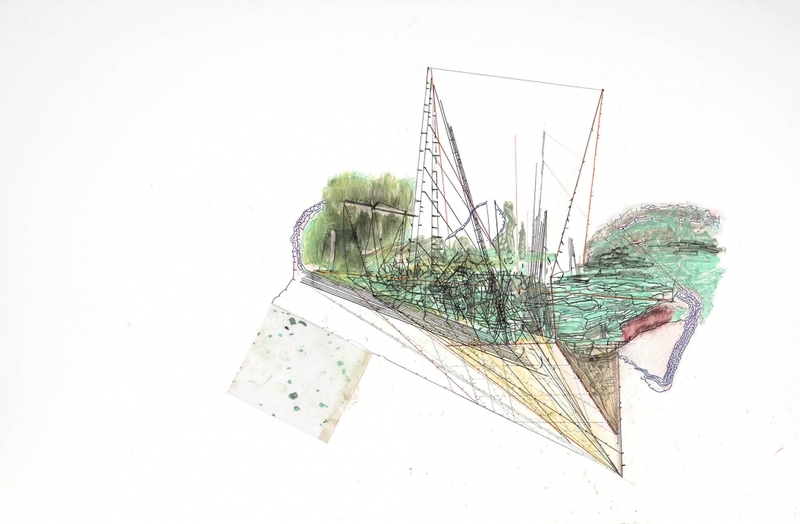 It is a principle that underscores and unifies her work, even as the drawings reveal the fissures and breaks that exist in any unifying theory. 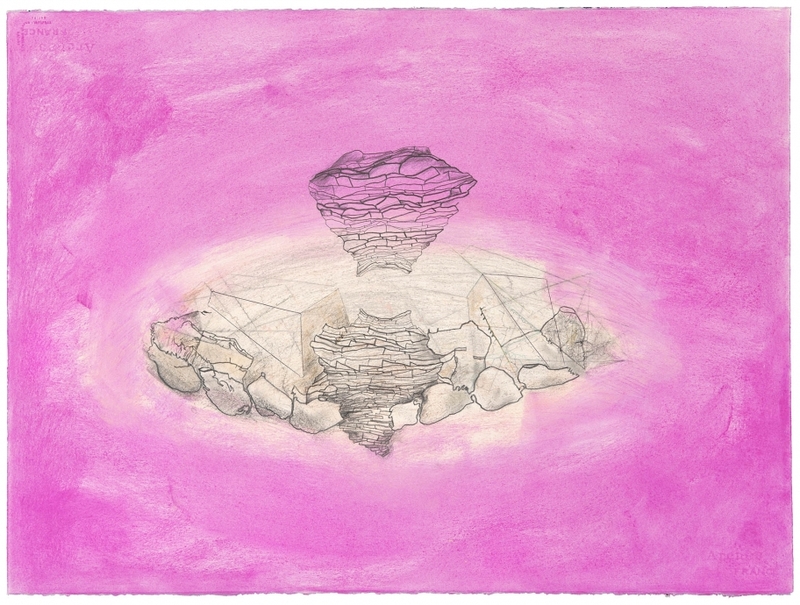 Tanner continually returns to drawing and, as with her other activities, she allows its tools, methods, and restrictions to direct her initial concepts and impulses, thus liberating predeterminations through the very process of making. 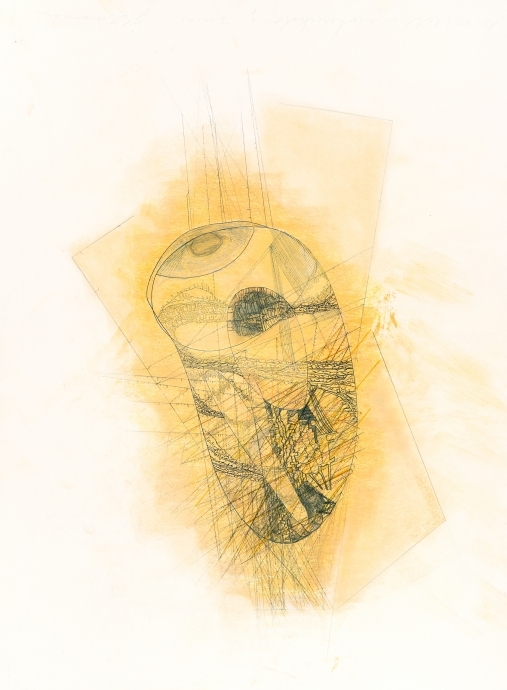 For instance, her series Drawing Focus (1999) renders boundaries and vessel forms in starkly contrasting ways and, by doing so, inverts notions of containment and permeability. 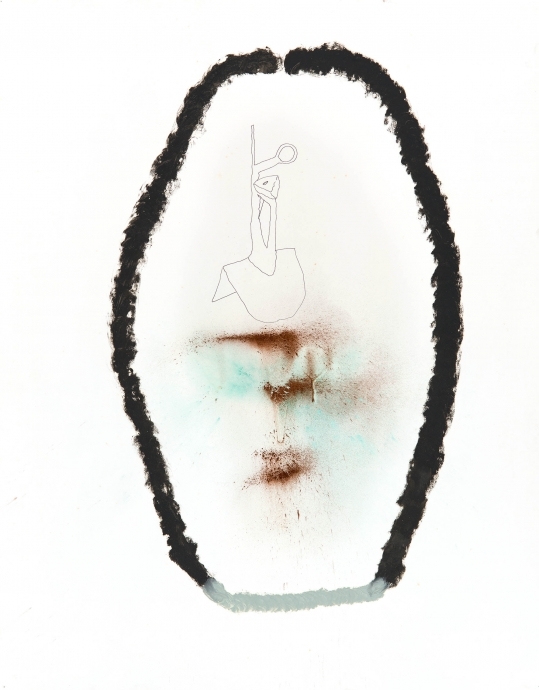 Bold strokes in oil stick allude to biological cell structure while delicate graphite renderings of vessel-like structures are portrayed in a more tentative, whimsical manner. Primal and elemental qualities of matter and movement are evoked through gestural splatters of metallic powder and ink. These elements occupy the same field yet are never fully reconciled. They continuously draw the eye back to the mechanics of their rendition, to the deliberation of a thick black line, the gesture of diffusion through powder and ink, and the hesitant lines in graphite. 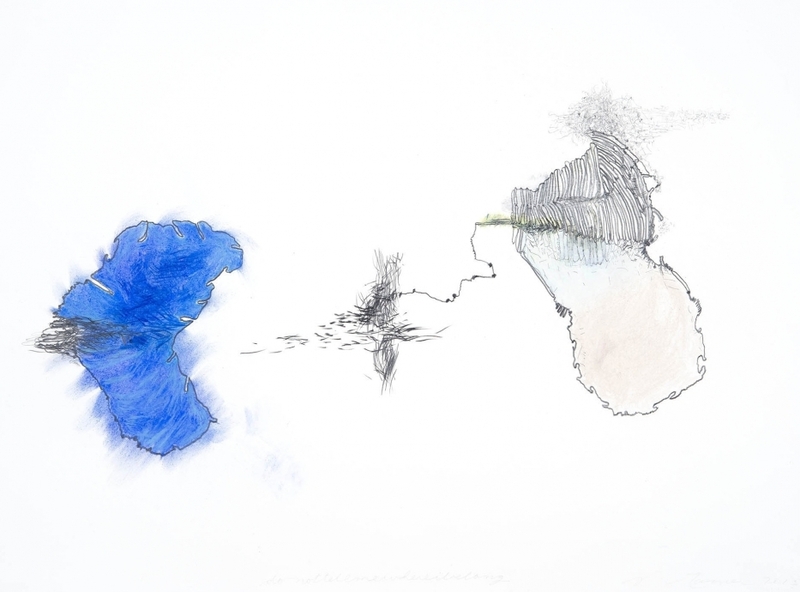 The inconsistencies of these juxtapositions are the focal point of the drawings, which, as their title suggests, invite viewers to focus on the act of drawing itself. Most recently, this “performance” of mark-making has resulted in an ongoing series of drawings entitled donottellmewhereibelong (2013-2015). While the title intimates the artist’s resistance to categorization, it also illuminates a state of uncertain identity that pervades these images. In donottellmewhereibelong the organic and the architectonic become science fictional, with some forms implying a kind of impossible architecture while others take on qualities of celestial bodies. Across the nebulous blankness of the paper—the “beckoning, flat expanse” as Tanner calls it—the images float, silent and weightless, moving yet still, anticipating resolution yet neither becoming nor evaporating. Born in 1935 in Indianapolis, Joan Tanner has lived in Southern California since the mid-1960s. She received a Bachelor of Arts degree from the University of Wisconsin at Madison in 1957 and began her career as a painter. She has been consistently exhibiting her paintings, drawings, photographs, sculpture and site-specific installations since 1968 and has held major exhibitions at Santa Barbara Museum of Art, MCA Santa Barbara (formerly CAF), the Speed Art Museum in Louisville, Kentucky, and the Ben Maltz Gallery at Otis College, Los Angeles. In January 2016 she will open a major installation at Suyama Space in Seattle. Tanner’s work is held in the following public collections: The Getty Center for the History of Art and the Humanities; Harvard University; Stanford University; The Speed Art Museum; and Santa Barbara Museum of Art. She has been a visiting lecturer at the University of California Santa Barbara, Ohio University in Athens, Illinois State University at Normal, and the University of North Carolina at Greensboro. Locks Gallery is located at 600 Washington Square South in Philadelphia, PA. Gallery hours are Tuesday through Saturday, 10am to 6pm. For additional information, please contact Locks Gallery at 215-629-1000, fax 215-629-3868, or email info@locksgallery.com.